If there are two things that come to mind when you think of supermodel David Gandy (aside from, perhaps, those famous white briefs) it is speed and style. So as well as asking him to pick his fantasy supercar fleet we also got his take on this season's sleekest tailoring - with a few accessories thrown in for good measure. 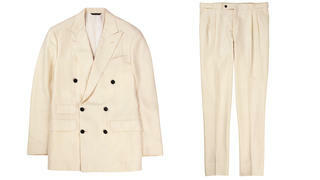 Robert Johnston casts his eye over our guest editor's wish list. A Belstaff-sponsored team has been trying to break the motorcycle land speed record in Utah. Keep up with this retro-feel boiler suit. The duster coat is back. 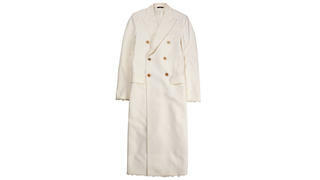 This extra length unlined version by Dolce & Gabbana has distressed hems for a laid-back feel and comes in rock-god white – impractical but so indulgent. 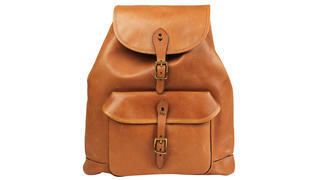 This backpack will get even better with age as the cognac coloured hide takes on a unique patina. And the brass hardware will take anything you can throw at it. British brand Drakes is most famous for its ties and, since 1977, it has continued a tradition that dates back to the French silk-weavers who arrived in London in the 1700s. 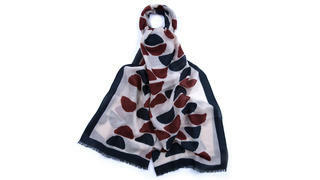 The company also makes exquisite scarves. 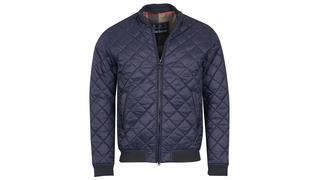 If you thought that Barbour made only waxed jackets, think again. This Barbour International Holton quilted jacket is rugged enough to keep out the elements while still being light enough to travel in. Why let your standards drop just because the temperature is rising? 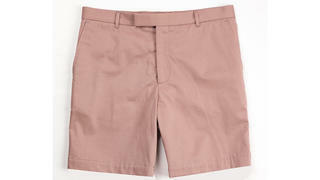 These tailored shorts are perfect for the beach or, paired with a navy blazer, for balmy summer nights. To expand on the Duchess of Windsor quote, you can’t be too rich or have too many socks – or indeed pocket squares and ties. The London Sock Co and David Gandy created this gift set – and 10 per cent of the price goes to charity. Thom Sweeney was originally a bespoke tailoring house, founded by Thom Whiddett and Luke Sweeney, but it has now branched out into ready-to-wear. This white tuxedo is the perfect look when you’re disembarking for dinner under the stars. 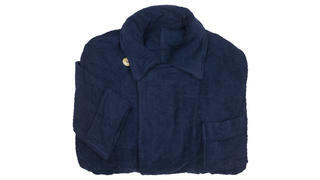 Luxurious towelling dressing gowns don’t come any better than this navy double-breasted style by the Duke of Edinburgh’s favourite tailoring house.